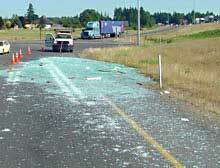 On July 23, 2006, a truck spilled glass on the I-5 on-ramp in Washington. 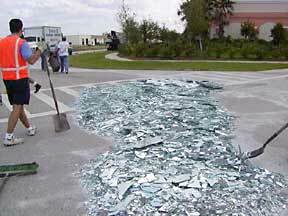 This is from the town of Jupiter Forida’s Public Works site. They don’t post any details.